Keestrack, a specialist in mobile processing technology, is setting its sights on the Indian market and has set up a subsidiary eTrack Crushers Ltd. in New Delhi. The company’s entry is based on India’s equipment requirement for excavation operations in the large deposits of precious metals and industry metals; the billion-dollar government investment programmes; and the growing demand for mineral construction materials. Expansion of India’s road infrastructure and large-scale projects in rail, maritime and air traffic demand a massive increase in the production capacity by manufacturers of construction materials and construction equipment to make available high-grade aggregates, gravel and stones in the short term. “Our company name, eTrack, indicates where we see our strengths,” explains Topor Basu, Area Sales Manager, who has been involved in the Indian processing market as a sales expert for more than 20 years. 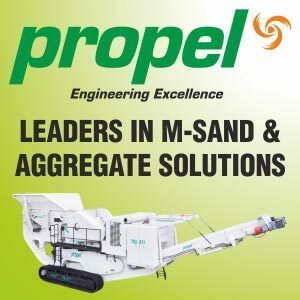 “No other manufacturer has a similar broad and high-efficiency offering in the performance range above 200 tph of partially and fully electrical crushing and screening solutions. In the coming months, eTrack will be establishing its service and marketing support centres for its crusher and screening machines that are produced at Keestrack’s European sites. In the longer term, the relocation of production capacity is scheduled for own assembly locations and qualified suppliers, which will strengthen its presence in the Indian subcontinent. The Belgian Keestrack Group is one of the strongest growing providers of products in the international processing market, with 70 dealers and service partners in 52 countries, and is expanding in key market regions (South America, Asia).